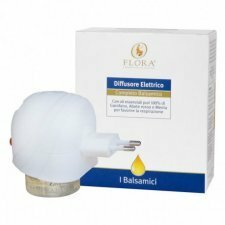 Balsamic refill for electric diffuser. To perfume rooms. 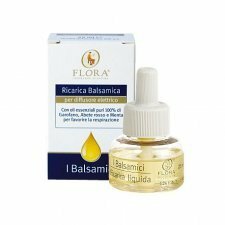 Balsamic blend with 100% pure essential oils which aid breathing. 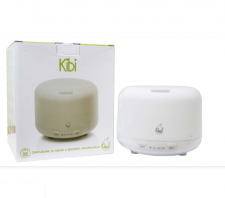 Functional components: 100% pure essential oils of clove, spruce, peppermint and pine pumilio. 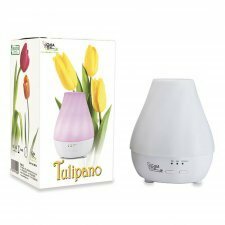 Electric diffuser with 25ml refill to purify and refresh the air of home environments and favor breathing pleasantly. Effective in closed environments even in the presence of seniors and children. Contains pure 100% pure essential oils of Carnation, Red Spruce, Peppermint and Pino Pumilio. Product life 200 hours. Suitable for a room of about 16 square meters. It is not necessary to aerate the environment before you stay. It is safe for adults and children.